In the November issue of The Oncology Pharmacist, we feature highlights of key presentations and studies from the 2017 American Society of Clinical Oncology annual meeting, which took place in Chicago, IL. One presenter shared the results of the phase 3 OlympiAD clinical trial, which demonstrated significantly improved progression-free survival in women with HER2-negative metastatic breast cancer with a germline BRCA mutation who received the PARP inhibitor olaparib (Lynparza) versus standard chemotherapy. The data also showed a meaningful improvement in health-related quality-of-life measures in those who received olaparib. “OlympiAD is the first phase 3 study in metastatic breast cancer demonstrating benefit for a PARP inhibitor over an active comparator. It is our opinion that olaparib could be an effective treatment option for women with BRCA mutations and metastatic HER2-negative breast cancer, including, importantly, women with BRCA mutations and triple-negative breast cancer,” Mark E. Robson, MD, Clinic Director, Clinical Genetics Service, Memorial Sloan Kettering Cancer Center, New York City, told attendees. “This is the first head-to-head trial to compare a next-generation ALK inhibitor with the standard of care, crizotinib. This global study establishes alectinib as the new standard of care for initial treatment in this setting. 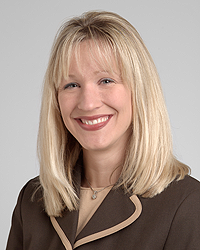 Alectinib was especially beneficial in controlling and preventing brain metastases, which can have a major impact on patients’ quality of life,” said Alice T. Shaw, MD, PhD, Director, Center for Thoracic Cancers, Massachusetts General Hospital Cancer Center, Boston. In another presentation by George W. Sledge, Jr, MD, Professor, Medical Oncology, Stanford University Medical Center, Palo Alto, CA, it was reported that adding the CDK4/CDK6 inhibitor abemaciclib to fulvestrant (Faslodex) extended progression-free survival by 7 months in women with hormone receptor–positive, HER2-negative advanced breast cancer. “The response rate is, to the best of our knowledge, the highest recorded in an endocrine-resistant population,” Dr Sledge told listeners. In addition, this issue provides valuable insight on the PD-1 inhibitor, pembrolizumab, which has achieved encouraging responses in patients with soft-tissue sarcoma; osimertinib, an EGFR inhibitor that extended progression-free survival compared with standard chemotherapy in patients with EGFR T790M mutation–positive lung cancer who had central nervous system metastases; dacomitinib as a likely new targeted therapy for patients with EGFR mutation–positive lung cancer; daratumumab, a monoclonal antibody being added to regimens for multiple myeloma; and the potential success of larotrectinib (LOXO-101), a novel drug that targets tropomyosin receptor kinase fusions and which has demonstrated excellent, consistent, and durable antitumor activity in a range of tumor types in adults and children.